Urgent: Despite insisting otherwise, Canadian officials have been quietly trying to re-negotiate the Safe Third Country Agreement (STCA) with the United States to make it even harder for refugees to enter Canada. While we just found out, these backdoor negotiations have been going on since September! The STCA is an unjust law that turns many asylum seekers away at Canadian land border official crossings if they entered via the US. Now Canada wants to extend it not just to official posts, but the entire border. Canada must #LetThemIn and #LetThemStay. Over 40,000 of you signed the petition calling on Trudeau to scrap the STCA. Your pressure helped force this issue onto the government’s agenda. Now we need you to turn up the heat. Enter your information in to the box and we’ll automatically connect you to your MP. If no one answers - you can leave a voicemail. I’m calling because I heard that you are quietly negotiating with the US government to turn away refugee claimants and extend the STCA to the entire US-Canada border. This is neither fair, nor just! Trump’s America is not safe. Thousands of asylum seekers are facing deportation from , separated from their families and being forced back to countries where they could be persecuted or even killed -- these people deserve to live with dignity in Canada. Extending the STCA would force migrant to take more dangerous routes and put them at risk. Already asylum seekers are avoidding regular official immigration channels and risk their lives in crossing the border on foot. People have lost fingers and toes making this trek, and it’s unacceptable. Mavis Otuteye died crossing in to Canada. Can we count on you to bring this message forward? Asylum seekers coming in are unable to get decent housing, social support systems and are facing a processing backlog. We need federal funding for shelters, and immediate status for all. Many asylum seekers and migrants are jailed indefinitely in Canada including children. 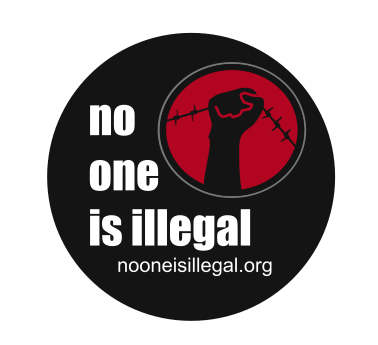 We need to end to all immigration detention. Justin Trudeau is attempting to expand the dangerous and deadly effects of precarious border crossings to even more innocent people. People fleeing Trump. People seeking refuge, Mothers, fathers, children, families who only want to be safe and build a life. Join us as we call on Canada to #LetThemIn #LetThemStay. Please call right now. Our tool will connect you to your MP's office. Use the box below to get started. Make sure you have your phone handy! Thank you so much for making a call. If you haven't already, will you sign our petition calling on Justin Trudeau to Welcome Those Fleeing Violence and Deportation Under Trump?